The 2018 Yamaha Motor Finance Australian Superbike Championship (ASBK) presented by Motul Pirelli saw two champions crowned at Winton Motor Raceway’s penultimate round in Victoria using Pirelli tyres, with Troy Herfoss capturing the Superbike series and Cru Halliday taking the Supersport title on Sunday. Meanwhile, Hunter Ford (Supersport 300) and Max Stauffer (R3 Cup) also stood atop the podium. 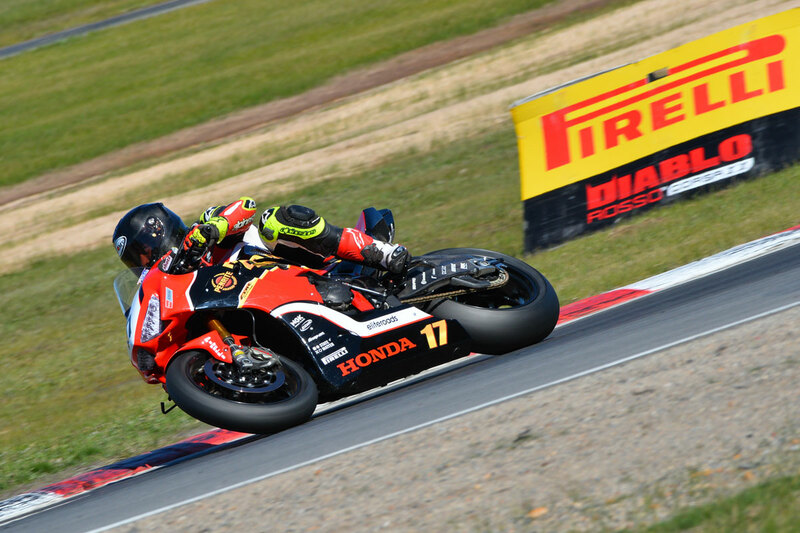 Winton, 10 September 2018 – A fifth-straight round victory for Penrite Honda Racing’s Troy Herfoss has enabled him to clinch the 2018 Yamaha Motor Finance Australian Superbike Championship (ASBK) presented by Motul Pirelli with a round to spare at Winton Motor Raceway’s sixth round of the season between 7-9 September. Herfoss took an important point for pole position on Saturday afternoon with a new circuit best lap of 1m20.160s, leading an all-Pirelli front row of the grid alongside Wayne Maxwell (Yamaha Racing Team) and Troy Bayliss (DesmoSport Ducati). Following numerous restarts in two races of attrition at the Victorian venue, Herfoss emerged the overall winner once again with a 1-5 scorecard to seal the championship at the penultimate round. He won the opening race – declared after 12 laps – ahead of Josh Waters (Team Suzuki Ecstar) and Bayliss, each finishing within a second of each-other. After exiting the opening encounter while leading, a twice restarted race two saw title challenger Maxwell bounce back to win by over two seconds from Waters and Bayliss, with Herfoss riding calculated for a comfortable fifth-place result. Maxwell’s 1m20.437s set in race one was also a new lap record of the tight, twisty three-kilometre circuit. Overall it was Herfoss from Waters and Bayliss in a Pirelli podium sweep. The preferred tyre selection in the premier class over the course of Sunday was the Pirelli Diablo Superbike 120/70R17 SCX (SV0952) front and Diablo Superbike 200/60R17 SCX (SV0965) rear. The SC0 (R331) rear was also specifically utilised in qualifying. In Supersport there was no denying Yamaha Racing Team’s Cru Halliday a fifth win of the year, going 2-1 despite an off-track excursion in race one to wrap up the overall and championship. Halliday topped breakout race one winner Max Croker (Mladin Racing Suzuki) and Tom Toparis (Cube Racing Kawasaki) overall for the weekend. With Pirelli riders dominating the round, including Halliday taking a new circuit best lap of 1m23.200s in practice, the most popular tyre combinations were the Pirelli Diablo Supercorsa 120/70ZR17 SC1 (R035) front, paired with the Diablo Supercorsa 180/60ZR17 SC1 (R041) rear. Yet again in Supersport 300 it was Pirelli that swept the rostrum, as Hunter Ford (Yamaha) had consistent results of 2-1-3 to take out the round. Alongside him was Oli Bayliss (Kawasaki) and points leader Tom Bramich (Yamaha), with races one and three winner Max Stauffer (Yamaha) credited P4 due to a crash in race two. Stauffer managed to finish first in the hard-fought R3 Cup however, winning two races ahead of race three victor Bramich and Locky Taylor (Yamaha). Pirelli racers in the 300s use Diablo Supercorsa 110/70ZR17 58W TL SC1 (U616) and Diablo Supercorsa 140/70ZR17 66W TL SC2 (U617)/Diablo Supercorsa 150/60ZR17 66W TL SC2 (R037) rears. “The Winton circuit has a mix of tight and twisty corners, with a fast sweeper where a well-sorted bike that turns, maintains corner speed and looks after the rear tyre are the secrets to fast, consistent times,” explained Pirelli product manager Garry Crilly. 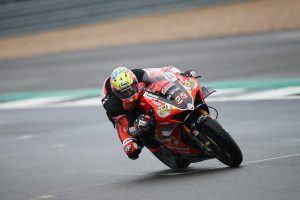 “The added difficulty for this round was the low track temperatures that can cause excessive abrasion on the right side of the rear tyre if the bike’s settings and tyre compounds are not carefully selected. 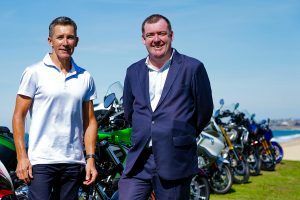 “Pirelli were able to work with our competitors to find solutions for all four championship classes, allowing Pirelli riders to take pole positions and fill the podiums of all four classes and seal the 2018 ASBK Superbike and Supersport championships. The seventh and final round of the 2018 Yamaha Motor Finance Australian Superbike Championship (ASBK) presented by Motul Pirelli is set for Victoria’s Phillip Island Grand Prix Circuit between 12-14 October. Pirelli Motorcycle Tyres are imported and distributed exclusively in Australia by Link International. Visit www.linkint.com.au for additional information.